The MSPECIFY® utility software program is utilized to create and configure the hardware and software parameters for the MeasureOD® System and is included at no additional charge. 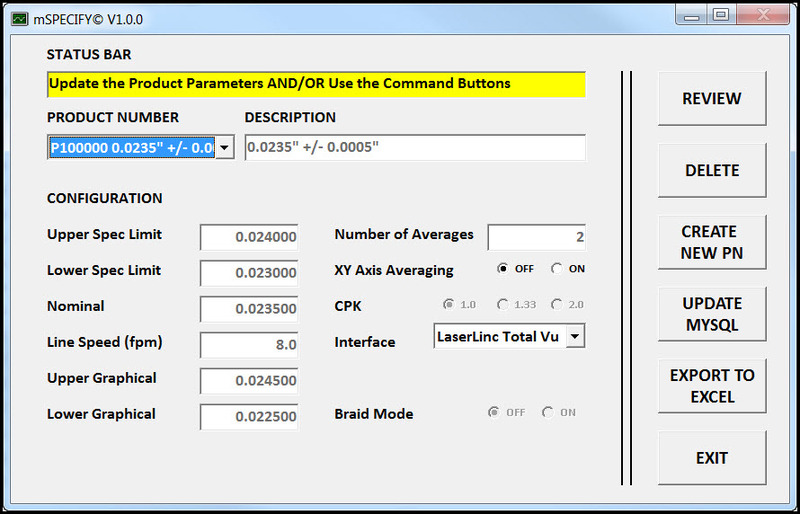 This utility program allows you to change/edit the following attributes for a given Laser Micrometer measurement setup. The User may define and store up to 1,000 unique test configurations or recipes. The configurations are stored on our Internet-based MySQL Server which allows multiple instances of the software to access them without having to load them on individual workstations.